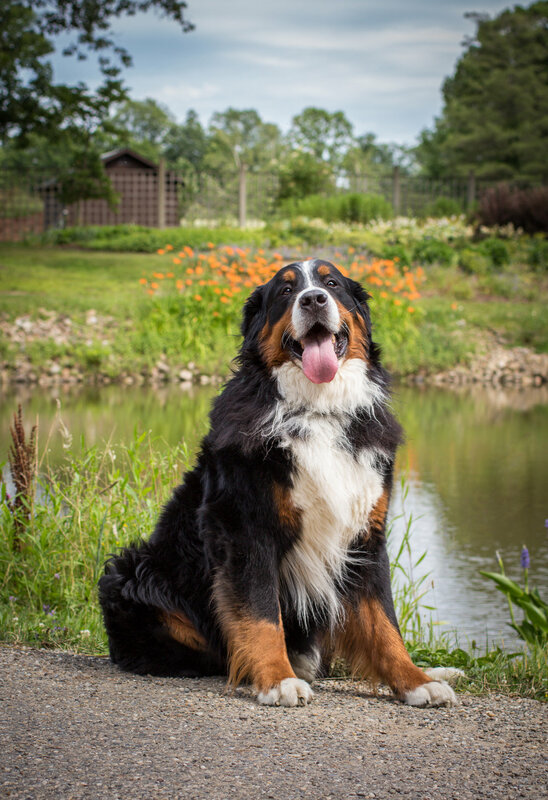 I recently met up with my dogsitter to take photos of her big guy, Ranger, a Bernese Mountain Dog. 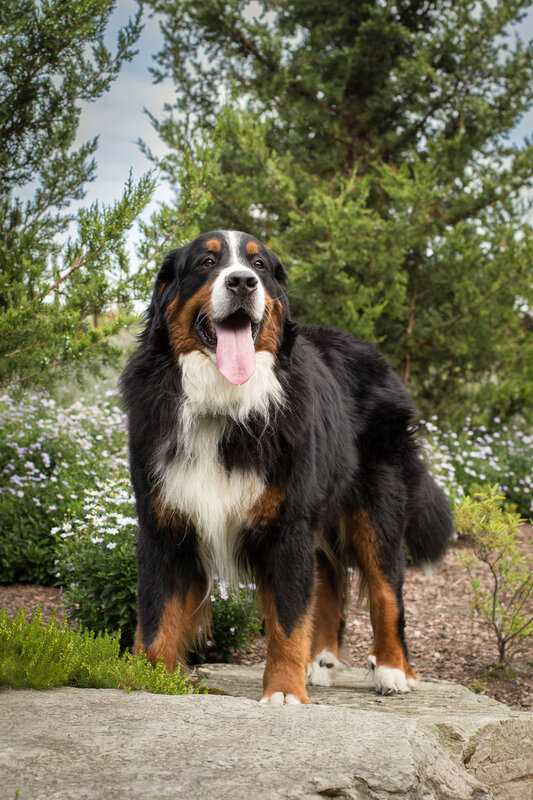 Ranger has bone cancer and at the time of the photoshoot was given six weeks to a few months. Ranger's mate, Mercury, joined us at the arboretum. Ranger was a trooper as we walked to several locations in the park. Funny story...Ranger is hesitant around new people. And although I've met him before, he never let me pet him. But by the end of our time at the park, he was my buddy. These are the best of the photos we got that day.